The Farm Trail Just Gets Better Everyday! Four amazing new venues have recently joined the Fields of Gold Farm Trail and we couldn’t be happier to have them! 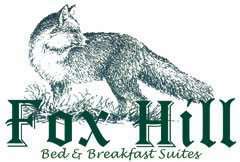 Meet Fox Hill Bed & Breakfast Suites, a magical place to get away! This a 38-acre countryside Bed & Breakfast retreat located midway between the Shenandoah Valley cities of Staunton and Lexington offers either B&B Suites or Kitchen Suites. They invite you to unwind and envelope yourself in the beauty and peace their lovely on farm lodging establishment has to offer. Enjoy beautiful mountain views while you delight in a 3 course breakfast. 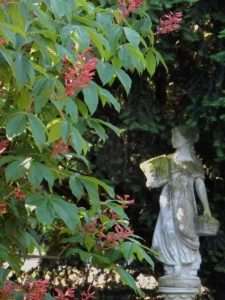 Their grounds provide endless opportunities to commune with nature: stroll in the shade along their spring-fed stream, watch a Blue Heron fish for dinner in our two-tier garden pond and wander in their lovely gardens. When you are ready for more activity, you can romp in our meadows and walking trails with your favorite companions: Fox Hill Bed & Breakfast Suites has been recognized as a favorite pet friendly “doggie destination” in the Shenandoah Valley by Hampton Roads Magazine. We also have received a 5 bones rating at Bring Fido! A new addition at Fox Hill is a picnic area under a stand of Eastern Red Cedar trees. They invite guests to use the gas grill and picnic tables to cook out while staying at the B&B. For more info or to book your stay: www.foxhillbb.com. Introducing the Stonewall Jackson House. Discover the man who became a legend! The Stonewall Jackson House in historic downtown Lexington, Virginia is the only home that the famous Confederate General Thomas “Stonewall” Jackson ever owned. The house, which is listed on the National Register of Historic Places, is furnished with period pieces, including many of Jackson’s personal possessions, and is open to the public for guided tours of the period rooms. The house is owned and operated by Virginia Military Institute. The museum’s mission is to preserve Jackson’s former home and its collections and educate the public by interpreting the life, character, and times of Thomas J. “Stonewall” Jackson. To find out more: www.vmi.edu. Next up is The Market at Draft Inc. Located in Stuarts Draft, right off of Stuarts Draft Hwy, is a true Farm Trail market treasure. When they opened in 1992, the goal was to provide their area with a higher quality food product along with the best service anywhere. They still offer this today and everyday to customers, friends and neighbors who have found this unique store with friendly personal service. They offer organic, all natural, gluten free products that are grown and produced locally! Follow them on Facebook. Last, but certainly not least, meet Birdsong Pleasure Garden. They welcome you to their private gardens throughout the seasons. Birdsong Pleasure Garden allows visitors a chance to escape the hustle and bustle of life while offering them a variety of picturesque gardens, mountain vistas, strolling paths, water features, and al fresco dining. It is a garden of pleasure and learning, relaxing yet filled with ideas to take home. Please call ahead to schedule your visit: 540-743-9389.